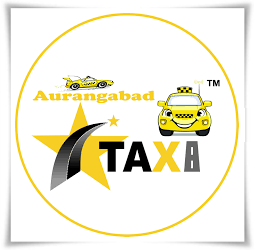 Aurangabad To Shirdi Taxi Fare, Car Rental booking service. Travel information for taxi, bus and train from Aurangabad to Shirdi. travel time, distance, places in rout and charges. By road if you have your own vehicle or by Aurangabad to Shirdi taxi you can reach Shirdi with in 2 hr 30 min. Its almost 120 kms actual travel by road. One benefit you can take if you have your own vehicle or rented car, you can go via Shani shingnapur lord Shani bhagwan temple some people call it as Shani dham. Via Shani temple its 165 kms actual travel and it will take 3 hr 30 min. Other way you can cover some local tourist attraction till Shirdi. Starting from Aurangabad you have to go through mini taj mahal near Shirdi its actual name is bibi ka maqbara replica of world famous taj mahal. After that you have to drive to Daulatabad fort 18 kms from Aurangabad city. Next place is Bhadra hanumanji temple (late huye hanumanji ka mandir) after that next place is world heritage site Ellora caves. You need to spend little bit more time to see all the caves properly. You can use your car in Ellora caves to travel around all the caves. Last place in this way is Grishneshwar Jyotirlinga one of the 12 jyotirlingas. After darshan you can move to Shirdi. You need to have 7 to 8 hrs to reach at Shirdi through all these places. If you want you can also cover Shani shingnapur and move to Shirdi in additional 3 hrs. Aurangabad Airport pick up - Shirdi Drop off. Actual travel 120 Kms. Aurangabad Airport pick up - Shani Shinganapur - Shirdi Drop off. Actual travel 160 Kms. Aurangabad Shirdi 2 Days 1 Night. Aurangabad pick up - Shirdi. Overnight halt at Shirdi. Next day Shirdi - Shani Shinganapur - Aurangabad drop off. Aurangabad - Shirdi - Ellora etc 2 Days 1 Night. Aurangabad pick up - Mini Taj mahal - Grishneshwar Jyotirlinga - Ellora Caves - Bhadra Hanumanji temple - Daulatabad fort - Shirdi. Overnight halt at Shirdi. Next day Shirdi - Shani Shinganapur - Aurangabad drop off. Actual travel 340 Kms. By train you have many options. There are four direct trains running on this way. By train it takes 4 hrs 20 min to reach at Sainagar train station. Its almost 197 Kms by rail road. Train no. 18503 Vishakapatanam - Sainagar Exp. Only on Friday. Train no. 17002 Secunderabad - Sainagar Exp. Only on Monday and Saturday. Train no. 17206 Kakinada - Sainagar Exp. Only on Sunday, Tuesday and Thursday. Train no. 17208 Vijayawada - Sainagar Exp. Only on Wenesday.